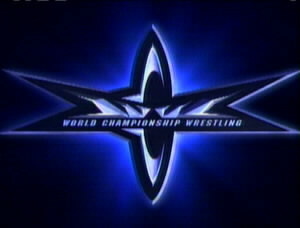 The company now known as WCW existed for years before as both Georgia Championship Wrestling and Mid-Atantic Championship Wrestling. The two companies were both under Jim Crockett Promotions and so amounted to being the same thing, despite the different names. In November, 1988, Jim Crockett sold Jim Crockett Promotions to WTBS. Crockett promotions had been the promotion most widely associated with the NWA. In order to distance itself from the NWA, which still existed as a paper organization at the time, WTBS began to change the name of its titles and television programs from NWA to WCW. The change took place in late 1990. By January, 1991, the WCW name was fully in place and the NWA name was all but dropped by the organization. WCW was formerally owned by Time-Warner and WTBS. Ted Turner, although a majority stock holder in Time-Warner, is NOT the sole owner of WCW following the merger last year between Turner and Time-Warner. The position in WTBS most widely considered as being in control of the wrestling promotion is the Executive Vice President in charge of Wrestling Operations. This title is currently held by Eric Bischoff, and has been reportedly changed to "The President of WCW," which means the same thing but pays better. In recent years Jim Herd, K. Allen Frey and Bill Watts have been in that position. Ric Flair's position as "President" is merely part of the storyline. He has no real power within the company. Isn't WCW just another name for the NWA? No. Absolutely not. The confusion comes from several sources: 1) The seamless transition on WCW TV, 2) The propaganda spread by WCW, 3) WCW and the NWA had the same champions for a six month period, 4) By 1991, WCW had almost completely taken over the NWA. WCW was formerly the Mid-Atlantic region, as well as the Georgia region, both of which were under the NWA banner. As they grew, they became the only major portion of the NWA to have TV coverage, and thus the NWA became Mid-Atlantic in the minds of the fans. This was patently wrong from the start, as the NWA was in fact many organizations under one banner. The rapid loss of World Class, the UWF, Florida and Portland left Mid-Atlantic (WCW) as the sole major player in the NWA by 1988, which is the point at which Ted Turner purchased Crockett Promotions and the NWA unofficially died. On 01/01/1991, WCW officially dropped the NWA name entirely and operated without a World champion or World tag team champions for a period of 10 days. They continued to recognize the Mid-Atlantic version of the NWA US title, which was held by Lex Luger at that point, as well as the Mid-Atlantic version of the NWA World TV title, which was held by Tom Zenk. These two titles were renamed the WCW US title and WCW TV title, respectively, and have direct lineage to the original NWA versions of the titles. On 01/11/1991, Ric Flair defeated Sting to win the NWA World title, and immediately after WCW named him as the first WCW World champion. It cannot be pointed out strongly enough at this point that these were TWO DIFFERENT TITLES. Ric Flair was simultaneously NWA and WCW World champion, and one title did not follow from the other. The WCW World title was created completely separate from the NWA World title and has NO direct lineage to the NWA World title, aside from the fact that the NWA champion happened to be the first WCW champion. The same situation existed with the tag team titles, as WCW created the WCW World tag team title at the same time, awarding them to Butch Reed and Ron Simmons, the current NWA World tag team champions. Again, this was a separate championship. However, because no distinct break ever occurred to distinguish the two belts, it was assumed that one simply became the other, when in fact this is PATENTLY untrue. However, the NWA was reinstated in 1992 and WCW World tag team champions Steve Williams and Terry Gordy captured the NWA World tag team titles in a tournament final, thus unifying the two championships and giving the WCW World tag team titles a direct lineage to the NWA World tag team titles once again. The lineage exists only from 1992 on, however. For simplicity's sake, one is assumed all the way back to the NWA World tag team title's creation, although this is factually incorrect, despite being easier to deal with. The NWA World title is a different story, however. In 1992, after the re-creation of the NWA, Masa Chono was established as NWA World champion. His reign, and those of the Great Muta and Barry Windham are regarded as legitimate World titles. WCW pulled out of the NWA for good in 1993, however, which rendered the "NWA World championship" being defended in WCW totally meaningless. When Ric Flair, as WCW World champion defeated Sting, the WCW "International World champion", to "unify" the titles, it actually unified nothing, as the NWA had died many months prior to this match. In short, WCW is not the NWA and never was. WCW's World titles were created in 1991, and there is simply no lineage to the NWA from before that. No matter how much believers of the opposing viewpoint may scream their opinion on the matter, the FACTS are as presented above. The constant claims of lineage back to 1904/1905 by WCW are simply lies used to solidify a heritage that does not exist. "The Powers That Be" are the collective name for Vince Russo, Ed Ferrera and Bill Banks, the creative team signed away from the WWF to replace the departing Eric Bischoff. In storyline terms, it mainly refers to ringleader and meglomaniacal head booker Vince Russo, who is only seen from the side as a menacing arm and a New York accent. Essentially, Vince Russo was given the reins of the WWF in May of 1997 after being the editor of the WWF magazine for a few years previous. He had been sitting in on booking meetings and progressively adding ideas, until finally the job was his entirely. Ed Ferrera was added in 1998 as a writing partner, and Bill Banks went with them as an associate when they left, although he had no significant input in the WWF during that period. Russo & Ferrera functioned as a team from 1997-1999. On March 26, 2001, WWFE Chairman, Vince McMahon, appeared on NITRO for the very first time and announced that the WWFE has purchased WCW from Time-Warner/AOL. The date of the re-launch of WCW is schedually set for June of 2001.